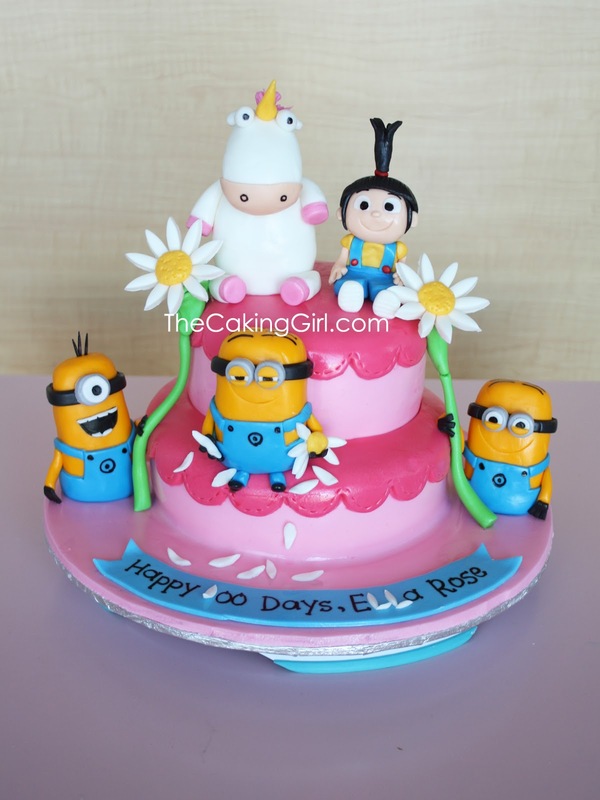 TheCakingGirl: Cute Despicable Me Cake! Omg! I am soooo in love with this movie! 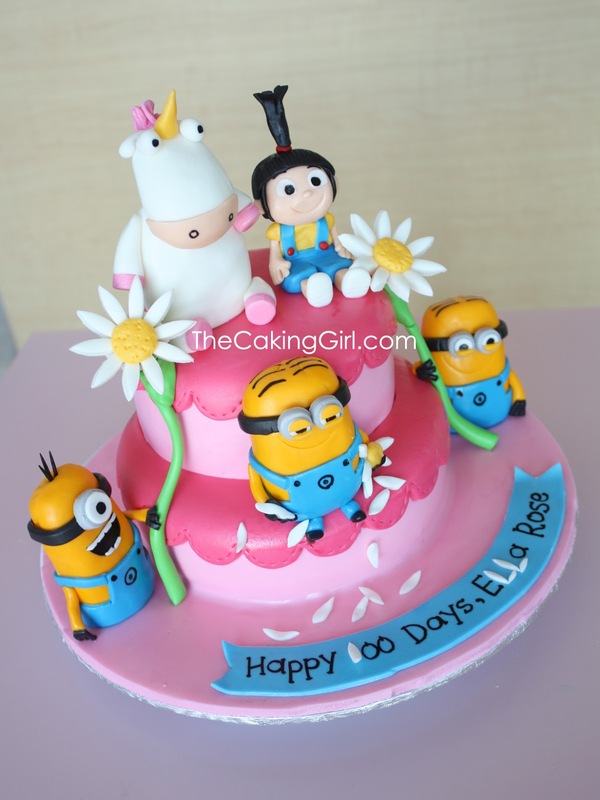 Both Despicable Me and Despicable Me 2 was super adorable! I thought the first one was really good, but the second one was even better.. the minions are too cute, I spent an hour watching their trailers and other minion clips on Youtube haha. 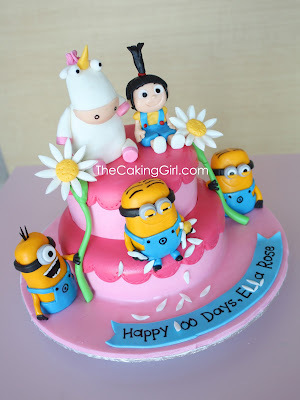 Anyways, here's a Despicable Me cake I made, it's for a little girl Ella Rose for her 100 days birthday celebration! I was going for a more playful look.. want to bring the characters to live almost, instead of a cake with characters just sitting there and staring blankly. I'm trying to improve my gumpaste figurines. 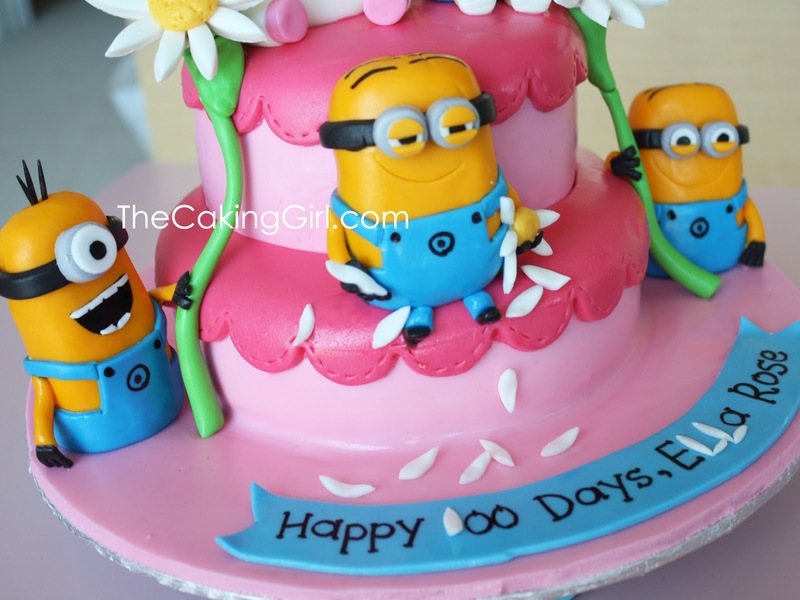 I made the minions holding onto daisies, and one of them is plucking the petals off of it like a "love me, love me not", and he has the dreamy romantic eyes. 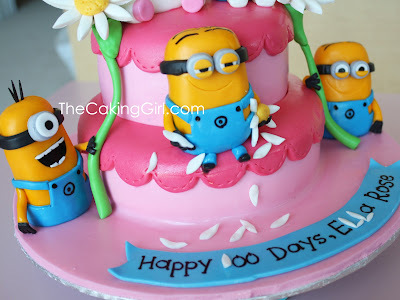 How much for this same cake? 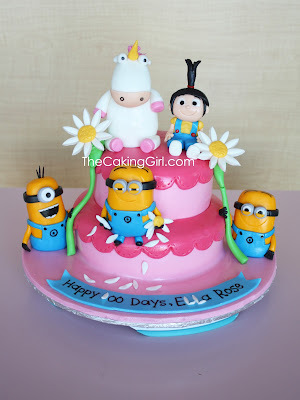 Im going to have a birthday party for my daughter n i want this same cake,she loooves despicable me too! !